Unlike traditional insulin pumps, wearable patch pumps adhere directly to the skin and require no tubing or only a short infusion set. Other companies like Unilife Corp., Valeritas Inc., and Insulet Corp., have already gone to market with patch pump products, the first two for Type 2 diabetes and Insulet Omnipod for Type 1. Cellnovo has a full-featured wearable patch pump for Type 1 diabetes that was developed in Wales. It has a disposable 150-unit cartridge connected to a short 1.5-inch infusion set that is inserted after the pump body adheres to the skin. Bolusing works with a wax actuator rather than a mechanical motor. A diode is used to heat a tiny block of wax that expands to push a plunger that then pushes 0.05 unit increments of insulin from the primary reservoir into a smaller chamber for delivery. Cellnovo claims this process delivers more accurate doses than the method used by conventional motor pumps. Technician Brian's website says "Wax motors are often used where a slow, gentle movement is desired over the quick snap of a solenoid. They are slow to actuate and to return." Bolus doses are slower with 20 cycles of heating and cooling required to deliver a 1.0 unit bolus, with the delivery of about 1 unit per minute, or 10 minutes for ten units. Basal delivery needs to be maintained at the same time. The insulin chamber is disposed of when empty, unlike Insulet's Omnipod. Rather than disposing of the entire unit, the electronics in the pump are reusable, and the battery is rechargeable. The wireless touchscreen handset resembles smartphones and software currently on the market. This familiar look makes programming a basal rate, setting a bolus, and recording blood glucose data or carbohydrate information as simple as using your smartphone. The built-in applications include programmable basals and boluses, an integrated blood glucose meter, food library, "text-like" features and automatic activity monitoring from a sensor in the pump. All the readings are automatically sent to the Cellnovo web portal for the user, clinician, or family members to view. This automated data collection eliminates the need for a diabetes journal. The handset has built-in GPS and cellular internet capabilities. They use ANT technology for communication between the handset and pump and their cellular network to so it can communicate with their Cellnovo Online service, with those costs covered entirely by the company. With this online web interface, your doctor can sign in, view your readings and send any suggestions or changes directly to you. Parents and other family members can keep an eye on the pump wearer's readings (with permission) while they are away. PEPPER (Patient Empowerment through Predictive Personalised decision support), an EU case-based reasoning artificial intelligence system that uses CGM readings and activity monitors to guide insulin doses. TypeZero InControl AP algorithm - First announced in June 2016, they used the Cellnovo pump with the Dexcom CGM and TypeZero algorithm to create a closed loop system. A pilot validation study is expected soon. 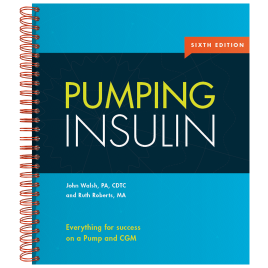 A proprietary approach using the French Diabeloop algorithm that could be integrated into the pump pod to allow it to regulate glucose levels independently.